What is 7 + 10 = ? Bangalore is known as “the garden city” or “the silicon valley of India”. Usually, we grow so attached to the city or town we are born that sometimes, we fail to give it up. Similarly, we have some sort of sentiments and new developing memories about the new place we migrate to. To all who know or have been to Bangalore, you can see that it kind of has a mixed culture with different languages spoken by many of the people who have migrated here from various places. Are you a graduate thinking of pursuing further education? You might be having a roller-coaster of thoughts. Don’t worry if you are, it’s absolutely normal at this point in time and this post is to give you some clarity. MBA aka Master of Business Administration is one of the popular and promising courses. Almost every student wants to get hold of this degree. To pursue this course from top colleges, there are certain examinations you have to clear first. So, let’s talk about that first and then we can move onto the list of Best MBA Colleges in Bangalore. CAT abbreviated as Common Aptitude Test has three sections, covering quantitative Aptitude, Data Interpretation and logical reasoning, verbal and reasoning comprehension. Common Management Admission Test covers sections like the quantitative section, logical reasoning, language comprehension, general awareness. XAT covers topics like Quantitative Ability, English Language and logical reasoning, decision making, G.K. and essay. SNAP covers General English, Quantitative, Data Interpretation and Data Sufficiency, General Awareness: General Knowledge, Current Awareness, Business Scenario, Analytical and Logical Reasoning. NMAT covers Language Skills, Quantitative Skills and Logical Reasoning. Management Aptitude Test covers topics like Indian and Global Environment, Language Comprehension, Data Analysis and Sufficiency, Mathematical Skills, Intelligence and Critical Reasoning. There are other exams as well just like the ones mentioned. If you crack any of these exams with top scores then you are eligible to apply for the best MBA colleges in Bangalore or in any other city of your wish. Along with this degree, if you possess smart skills, good practicability and great communication skills you can easily get placed in a reputed company. If you know about MBA, you may also know there are various streams as well. If you have already decided which stream to choose it’s well and good. If you have not, here is a list for you. Now we know the basics of what MBA is and what exams you need to appear in to get admissions. Here is the list of Best MBA colleges in Bangalore, followed by all the details you would want. and as promised here are the details of all of the above mentioned best MBA colleges in Bangalore. Christ University was founded by St.Kuriakose Elias Chavara. The university was established in 1969. This university comes in the list of Best MBA Colleges in Bangalore. Christ University has a motto “EXCELLENCE AND SERVICE”. MBA at this university has two campuses. The Main campus and the Kengeri Campus. Christ University provides two years program for all MBA students. Additional to classroom training the university provides various kind of experiences like Organization Structure Study, Out Bound Training, Book Review Competition, Summer Internships, Current Affairs, Weekly Presentations and Dissertation. To talk about the placements, for many previous years only 60 students per year were placed but as for now, 700 students are placed last year. Every year there are 25% new organizations. Christ University provides high-quality students which can be understood from the past placement records. Further, let me tell you a list of companies visited for recruitment. Amazon, Accenture, Gionee, Act TV, Cisco, IIM JOBS, IBM, SPAR hypermarket, Deloitte, Coffee Day etc hire Christ University students. MBA in Christ University gives an immense chance for students who wish to study the last two semesters in abroad (U.S and Michigan). None of the students who aim for MBA career go and choose a college or university where there are low rated placements. To strengthen the students in placement they are particularly trained in resume building, group discussion and interview skills to get into the desired occupation. So what else are you waiting for? Symbiosis Institute of Business Management, One of the Best MBA Colleges in Bangalore was established in 2008. Dr.S.B.Mujumdar is the Founder and President of the B-school. SIBM carries a vision to approve high-quality education. The institution’s mission is to sustain good competency among the students. They inculcate good values so as to make them promising personalities. There is full time as well as part-time programs for MBA graduates. In SIBM, candidates can choose any of their dream streams in their second semester. The placement records of this college are great. Some of the companies who recruit from Symbiosis Institute of Business Management are Bajaj Allianz, Mercedes Benz, Honeywell, Dell, Cisco and Microsoft. The number of candidates getting placed in Symbiosis Institute of Business Management is well consistent. According to the Director of SIBM – Dr.Rajesh Panda is to groom budding professionals and make them think innovatively. Prof.J.Philip is the founder and builder of Xavier Institute of Management and Entrepreneurship (XIME) have a lot of accreditations. The institute was established in 1991. It can take up to 180 students in Bangalore campus which is accredited by NBA. International accreditation has been granted for XIME by Accreditation Council for Business Schools and Programmes (ACBSP). XIME offers two years based Post Graduate Diploma in Management which has campuses in Bangalore, Cochin, and Chennai. Admissions in XIME are merit-based. Common let us see the placements record. I know you have been waiting for this. In batch 2015-2017, 70 reputed companies visited XIME and 94% of the students got placed. Doesn’t that mean its true success? Highest salary touched during the placements time was Rs.11.27 Lakhs. XIME deserves to be on the list of Best MBA Colleges in Bangalore without any doubt. Adress: Xavier Institute of Management and Entrepreneurship (XIME), Electronic city, Phase 2, Hosur Road, Bangalore – 560100. IFIM has a lot of facilities including 24/7 Wi-Fi facilities, attractive infrastructure, industry visits, weekly guest lecture to enhance students. IFIM is listed amongst top 30 B-schools in India. Now let me tell something about the placement held in IFIM. Through two years of study, the students of the Institute of Finance and International Management (IFIM) are groomed well to be responsible for their respective careers. Companies like Deloitte, HDFC, Oracle, CGI are few of the recruiters in IFIM. Many recruiters who interviewed the students also have given their positive feedback about the students of the Institute of Finance and International Management (IFIM). You can also be aware that in the batch 2009-2011, the average pay package was Rs 4.57 Lacs. Acharya Institute of Management and Sciences was established in 1994. offers career counseling to students to make them choose the right program. They welcome students in India and from other countries as well. An infinite cultural mix will be there. Fees structure ranges from 10 – 12 lakhs depending on places for the whole MBA program. Scholarships and loans are provided to backward class students. This helps many underprivileged students to get a higher education. Numerous companies come for recruitments in this college and bringing that list into a single line or post is difficult. So, you can visit their official website for more information on placements. To tell about the past reports of placement, students prefer to work in roles such as Global Derivatives, Business Consultant, Team Leader, HR Consultant, Strategic Sourcing, Consulting etc. In this highly competitive world, you must be highly practical, talented and better in communication skills. The AIMS trains the students for internships which help them ready for a future employable career. One of Best MBA Colleges in Bangalore. Presidency college is a subsidiary institute of Presidency Group of Institutes. The Institute is re-accredited by NAAC with A+, affiliated to Bangalore University and Approved by AICTE It was established in the year 2000. The college is now almost two decades old. The perseverance of the institute to provide quality education is one reason, why it is ranked as one of the best B School in the country. The Institute proudly announces the strength of 14,000 students and 1200 well-qualified faculties. Also, it has many clubs dedicated to social causes, languages, management and NSS; Rotaract Club, NSS Club, Morpheus Management Club, UDAAN HR Club, Hindi Club Khoj, English Club Odyssey. The Institute has collaborated with several other institutes and Universities like University of Frazer Valley, LA Trobe University, ACCA – Association Of Charted Certified Accountant’s Programme, Oracle university – Certificate Programme In Oracle, Database & J2EE, T.I.M.E. (Aptitude Training and Cambridge English). The Institute was established in the year 1995 by GEF (Gokula Education Foundation). The Institute is ranked among top B schools in India. As the name says, the institute is solely dedicated for management studies. The Institute offers Post Graduate Diploma in Management (PGDM) and MBA courses. Like all other top B schools, the institute accepts MAT, CAT and CMAT scores. In recent years, the institute was successful in aiding 95% students gets placed. Address: M.S Ramaiah Institute of Management, PO.Box No : 5405, Gate No: 8, New BEL Road, M.S.Ramaiah Nagar, MSRIT Post, Bangalore – 560054. East West College of Management was established in the year 1991. The Institute is approved by AICTE (All India Council for Technical Education) and affiliated to Bangalore University. Alongside MBA, the institutes also offer other PG courses like M.Com & MCA and UG courses such as BBA, B.Com & BCA. The institute stresses on quality education in the management domain. All management programmes are tailored in such a way that it prepares and trains students to become leaders of our tomorrow. Besides classroom-lectures, the management curriculum includes industrial visits and workshops, intercollegiate management fest, seminars, case study presentation, national conference and guest lectures. Impact Institute of Management Studies. Impact Institute of Management Studies aka IIMS is a new subsidiary institute of Impact Group of Institutions. The Institute is affiliated to Vishveshvaraya Technological University and is approved by AICTE. In order to impart leadership qualities in students, the institutes conduct various symposiums, workshops and conferences. The Institute shall be expanding its presence in two other cities, namely, Cochin and Vijayawada. The Institute promises 100% guaranteed placement. Vodafone, Infotech, Nokia, ITC, Asian Paints, Cadbury, Cafe Coffee Day, Dell are few major companies hiring students on-campus. Krupanidhi School of Management aka KSM is an integral part of Krupanidhi Education Trust. The institute was established in the year 2008. KSM is accredited to the University of Mysore, recognized by AICTE and is an ISO Certified Institute. KSM has been consistently ranked among top 10 B school in Bangalore, in recent years. Management programmes offered at KSM are uniquely tailored, innovative and globally accepted. Besides academic excellence, the institute emphasizes on communication skills, leadership skills and overall personality development which is very crucial to becoming a successful manager. Brindavan College is affiliated to Bangalore University and VTU (Vishveshvaraya Technological University), approved by AICTE and accredited by NAAC with ‘A’ grade. The Institute was established by Dr.Majed A A Sabha. The Institute offers MBA Courses under both, Bangalore University and VTU. Students are admitted to their choice of University. Although most part of the course is the same in both the Universities, syllabus and examination scheme slightly vary. Brindavan College is renowned for courses in management, commerce and computer application. The Institute has separate in-campus hostels for girls and boys. If you think we have missed out any college let us know in the comments and we’ll update this list best MBA Colleges in Bangalore. 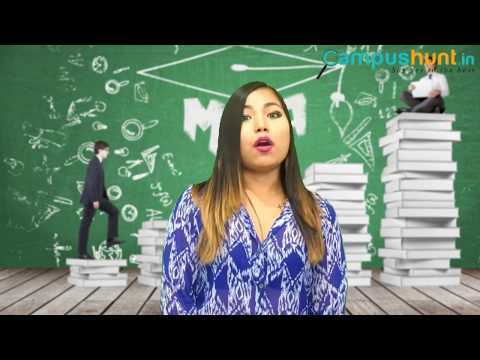 You Can Also Check Out This Video About MBA and Best MBA Colleges in Bangalore for More Information. Best BA With IAS/IPS Training Colleges in Bangalore – Course Details, Eligibility, Syllabus, etc. Best BA in Mass Communication Colleges in Bangalore – Course Details, Eligibility, Syllabus, etc. you are really a good webmaster. The site loading speed is incredible. It seems that you’re doing any unique trick. In addition, The contents are masterpiece. you’ve done a wonderful job on this topic! It’s hard to come by well-informed people for this topic, however, you seem like you know what you’re talking about! Thanks for sharing such kinds of thinks again thanks a lot have a nice day! Send your contact details (Name, Contact & Email) to info@campushunt.in, if you need any help with admissions. Thanks for your amazing blog. It was very useful. I am so glad I discovered this. Wow! This really is by far the most helpful thing on the matter I’ve ever come across. Many thanks for your work. blog is very usefull and i am waiting of your new blog i will fill good when i will see it . Confused About Which Course/College To Choose? Scandium Technologies Pvt Ltd, Level 14 & 15, Concorde Tower, UB City, 1 Vittal Mallya Road, Bangalore 560 001. Want To Get Into The Best College ?